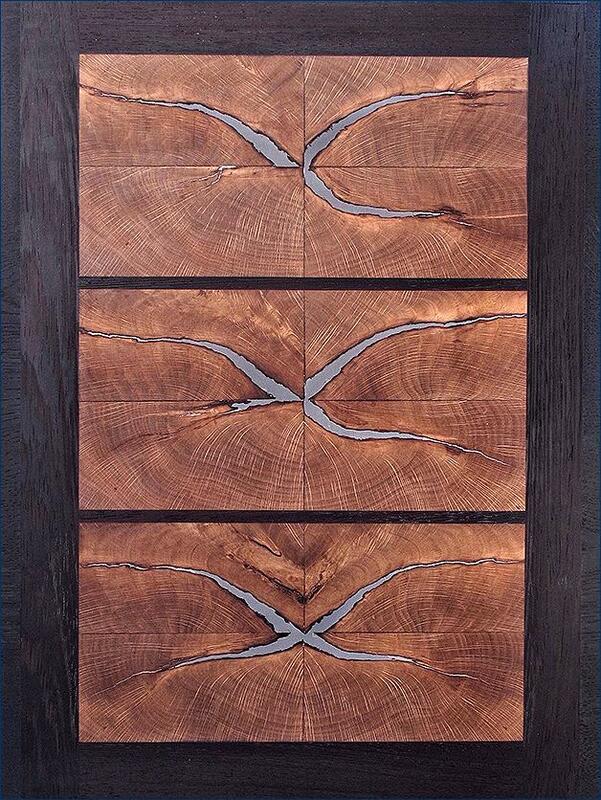 This art piece was created from the fissures or shakes that can naturally occur in the Oak. The pieces were carefully cut and joined to make the matching yet variant patterns. The cracks were then filled with molten metal.